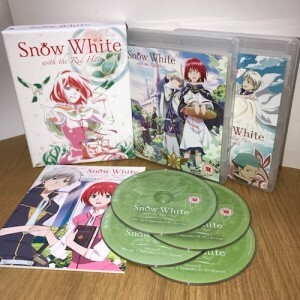 [Unboxing] Snow White with the Red Hair Season 1 & 2 Collection. 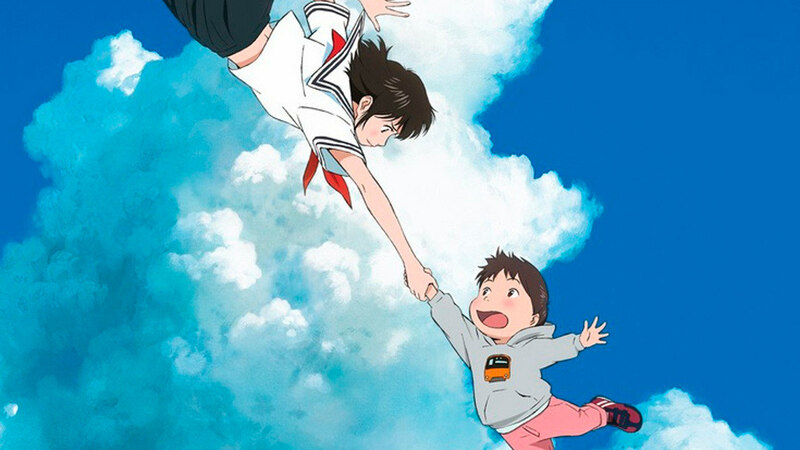 Check out this Ltd Collector's Edition Blu-ray set exclusive to AllTheAnime.com. From the studio that brought you Fullmetal Alchemist, Eureka Seven and Wolf's Rain to name a few, came the series Snow White with the Red Hair. 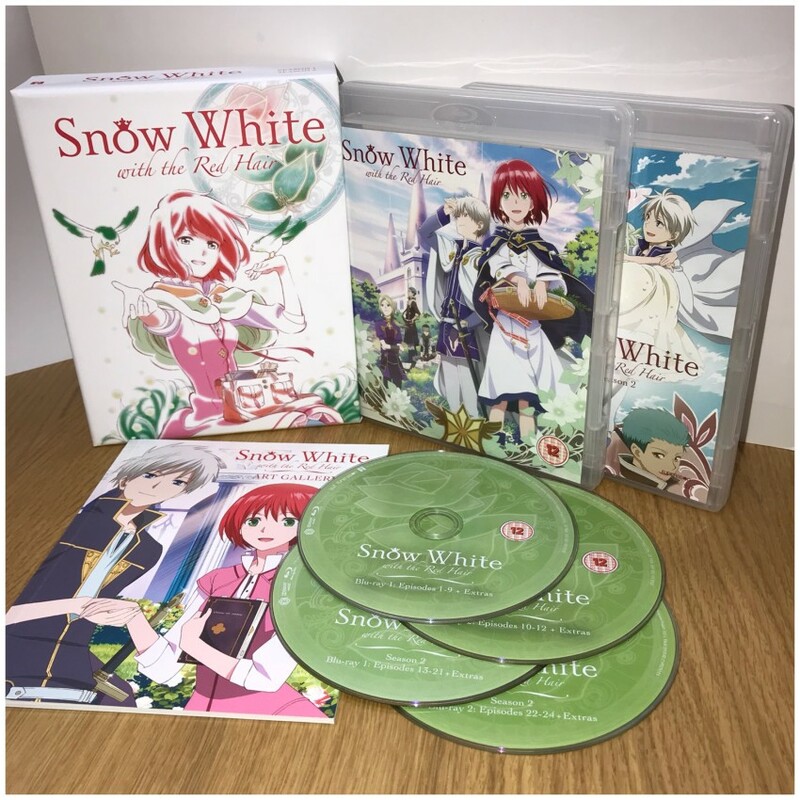 A visually gorgeous series with a wonderful cast of characters determined to protect the main protagonist, Shirayuki, from a danger that forced to leave her home and help her achieve her dream. The series has dazzled fans since it aired back in the summer of 2015 (yes, it's been that long) and now we're delighted to bring you a set that combines both seasons of the series into one collection that's currently available to purchase exclusively at our AllTheAnime.com online shop right now! Read on below for the details on what to expect with this set that is shipping now. Season 1 & 2 synopsis: Once upon a time in the Kingdom of Tanbarun, there lived an independent young woman with beautiful red hair. A skilled herbalist by trade, Shirayuki used her knowledge of plants and medicine to heal the people of her city. But when her apple-red hair drew the unwanted attention of the devious Prince Raj, she was left with two options become his unwilling concubine, or leave her home forever. In the dead of night, she cut her hair and escaped to the neighboring kingdom of Clarines where she was found by a kind young man named Zen. The mysterious stranger turned out to be none other than the dashing prince of her newfound kingdom. 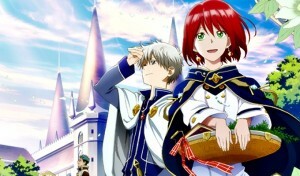 And with his protection, Shirayuki was finally free to chase her dreams. Now, she's set her sights on becoming a royal court herbalist and it will take a lot more than poisoned apples, scheming lords, and challenging exams to stand in her way. You can watch trailers for both seasons, originally published ahead of their respective individual releases, below. Want to know more about the series? Have a read of the piece written at our blog by Andrew Osmond HERE. This AllTheAnime.com exclusive set comes packed in a beautiful rigid case. Inside that you'll find two amaray cases that store the series and a 30-page booklet showcasing various key art of the series. Across the four Blu-ray discs included you get both seasons of the series (24 episodes) with options to watch them with in either English or Japanese with English subtitles. Extras wise you get Episode commentaries, Promotional videos, Commercial collection and Textless Opening & Closing themes. Also worth noting that this will likely be available to purchase at events we exhibit at too. 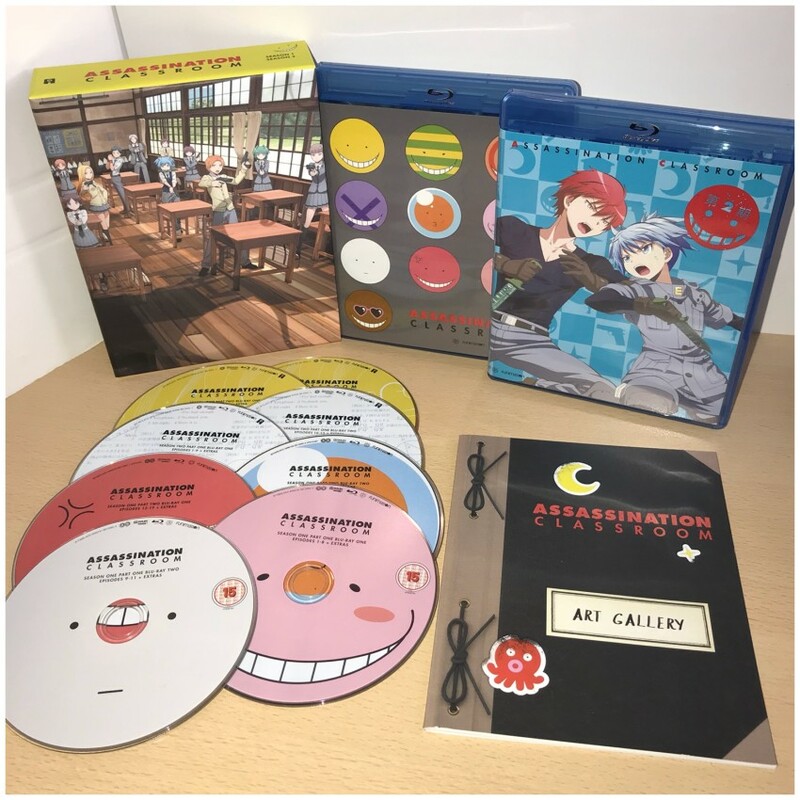 [Unboxing] Assassination Classroom Season 1 & 2 Blu-ray Collection. 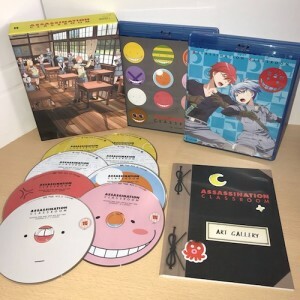 Check out this limited edition set exclusive to the AllTheAnime.com online shop. 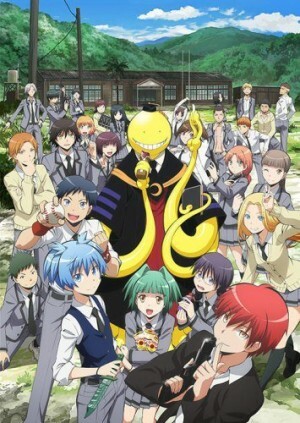 If you're looking for a series that's sure to provide a whole bunch of laughs then Assassination Classroom is a sure to be right up your alley. With all sorts of emotion, and featuring a unique and diverse cast of characters - a cast who have an alien as a their teacher, who is planning to destroy the world before the school year is up - there's plenty to enjoy here. Back in December we revealed that we would release a special Blu-ray set (that's currently exclusive to our AllTheAnime.com online shop) collecting both seasons of the series. With this set now in stock and shipping, it's the perfect time to bring you a full unboxing of this! 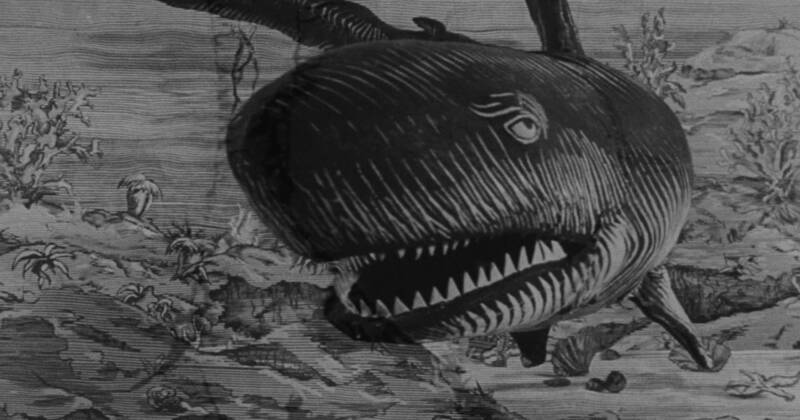 If you're not familiar with the series, we'll give you a quick primer into the bargain. Read on below for all the info. Season 1 Synopsis: At Kunugigaoka Junior High School, class 3-E is the lowest of the low. With abysmal test scores and no future prospects, they’ve been given up on and hidden away from the main campus at the top of a deserted mountain. But when a super-powered tentacled creature with a thirst for destruction becomes their new teacher, they’ve got a brand new assignment to get them inspired about school: take him out. Want to read more about the series? You can read a piece at our blog about Season 1 HERE and another piece about Season 2 HERE. This AllTheAnime.com Exclusive release brings both seasons of the series together into one collection. It's presented inside a rigid case, and inside that you'll find an Amaray case containing the first season (22 episodes) over four Blu-ray discs, and another case containing another four Blu-ray discs with the second season (25 episodes). In addition to that you'll also find a 30-page booklet containing character art and key visuals from across both seasons of the series. All 22 episodes of Season 1 with English and original Japanese with English subtitles audio options over 4 Blu-ray discs. On-disc extras (spread over the four discs) include: Episode commentaries, OVA episode 0 "Meeting Time", Interview with the cast, Clean Opening and Closing title sequences, Top 10 Moments featurette, Textless Opening Song “Jiriki Hongan Revolution” Version 1, Textless Opening Song “Jiriki Hongan Revolution” Version 2, Textless Closing Song “Hello, shooting-star”, Previews for each episode in season 1. All 25 episodes of the second season spread over four discs with both English and original Japanese with English subtitles audio options. On-discs extras across these discs are: Episode commentaries, "The Many Faces of Koro Sensei", Textless Opening and Endings, Top Ten Moments: Assassination Classroom Season 2, Textless Opening Song: “QUESTION”, Textless Opening Song “Bye-Bye, Yesterday”, Textless Closing Song “Waning Moon”, Textless Closing Song “This Day I Can See You Again”, Previews. It's also worth noting that should you attend an event we are exhibiting at in the future, we'll likely have some units available at those too.